Do you feel that your Apple Mac computer’s video and picture clarity and quality is not as perfect as at the time of its purchase? Then the chances may be that your Apple computer’s graphics card or video card may be damaged and requires a repair or upgrade. At Creative IT, we carry out Apple ATI graphics repair for all makes as well as models of Apple Mac desktop and notebook computers such as iMac G5, eMac, Power Mac G5, PowerBook G4, MacBook Pro and Mac Pro with ATI Radeon and ATI Mobility Radeon graphics processors. 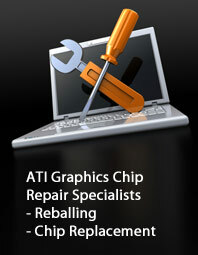 Creative IT can offer practical solutions for your entire ATI graphics card reflow and rework requirements. Based on your Apple Mac computer’s video card or graphics card issues, the Apple ATI graphics repair options that we offer include reflow and Ball Grid Array (BGA) reballing, both of which are covered by 90 days back to base warranty. 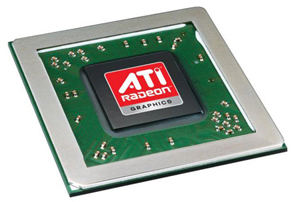 If your ATI graphics card or GPU chip cannot be repaired, we can remove the faulty graphics processors and replace it with a brand new one. So for prompt, reliable and timely Apple ATI graphics repair and replacement services in London, just give a call to our support team on 020 7064 4999 or send us an email to info@atigraphiccardrepair.com. You may also schedule a visit to our Central London laptop repair facility at 80 Willow Walk, The Willows, London SE1 5SY during our business hours - 9 am to 6 pm from Monday - Saturday.